Have all of your gear close by! A beautiful and practical, top quality tackle bag! 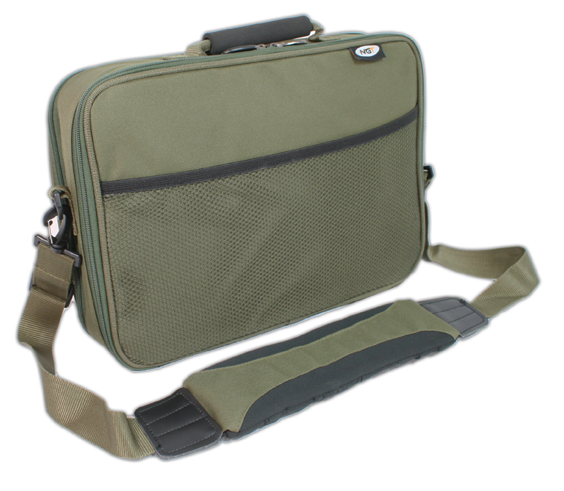 You can store all the necessary tackle for a fishing sessions in this compact and comfortable bag! 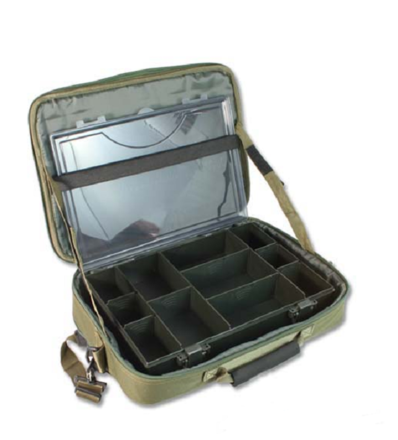 The included tackle box can be customised with the adjustable dividers. The deluxe shoulder bag features a padded shoulder strap for extra carry comfort and an extra compartment on the outside for your pliers. Keep all of your gear close by with this beautiful tackle bag with included tackle box!